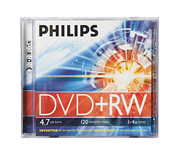 Philips 4.7 GB, 1-4X, 120 minute, DVD+RW in slim-line jewel case. (**Individually priced per (1) DVD, and must be ordered in multiples of (5) discs/pack). SONY has announced End Of Life plan for the 5.25" Magneto Optical (MO Disk) line up as of December 2014. Their estimated run out date for all capacities is September 2015. The global supply of all brands of Magneto Optical Disk will be greatly diminished going forward. Please contact us with any questions you may have: 877-633-7873. Get great results with Custom Disc Printing on all Medical Grade DICOM compliant CDs & DVDs! With data as vital as patient studies, doesn't it make sense to use the very best? That's why all MedGrade� DICOM compliant CDs & DVDs utilize the highest quality media available. Let us help you create a professional looking design with Custom Disc Printing by MedGrade! As a MedGrade customer, automatic membership in our industry leading MedSure benefit package is included. Be confident knowing that both you and your critical data are protected by MedSure.